I just learned a few more words to add to my French vocabulary while in the throes of remodeling this week. I already wrote about the five or six words in French for sink. And I finally got the difference between a mitigeur and a robinet (a mitigeur has one knob “mixes” the water, and a robinet has two knobs). Fortunately the word is the same no matter what size sink you have. Well, unless you have a commercial sink, in which case it’s a mélangeur. So if you ever come to France and want to find a faucet for a hospital sink, you can thank me for saving you three weeks of work. When we went into a tile store in the 17th, after a very long day that started at 5am, and even though I had really had my fill, I thought I saw through my bleary haze what looked like just the right tiles as I flipped through the racks. But it was impossible to tell because the lights; like most of the tile showrooms we visited, they were incredibly dim. I’m not sure how they expect you to choose a tile when you can’t really see them, but at that point, I’d kind of reached my limit and flipped out on the salespeople, who I didn’t feel so bad about since Romain got into a argument with one of the phone on the way over there.And when we got there, they weren’t exactly jumping away from their desks to help up. Although it goes against my nature, I keep forgetting that in France, in certain situations, it’s acceptable (and sometimes necessary) to blow a fuse, because if you just stand there hoping someone will help you, you might never get help. Or tiles for your basement floor. I also finally picked out appliances, but one thing I’ll miss about my apartment is the refrigerator. No, not the one in my kitchen. But during the cold months, I turn my roof into a cooling chamber and let me tell you, the views from the Seine got nothing on the items that are out there. I ate the soup with a crumbling chunk bleu des Causses and a few slices of rye-miso bread from Gontran Cherrier (I don’t have his recipe.) You can customize the soup with the garnishes, perhaps with a few fennel fronds, some bacon or smoked tofu. A spoonful of crème fraîche or sour cream and a bit of smoked red pepper powder would work. 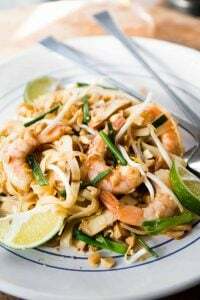 Or if you have a flavored oil on hand, such as those made with herbs or even lemon, add a swirl to each bowl right before serving and some fresh pepper – and you’re good to go. I used French sparkling cider to give the soup a little extra fruitiness. 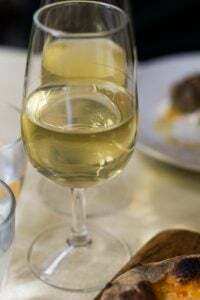 You could use a mixture of beer and apple juice, or some white wine in place of the cider, since it’s not something that’s readily available everywhere. If you want to leave liquor out altogether, swap out stock or water in its place. 1. Heat the olive oil or butter in a large pot or Dutch oven. Add the fennel and onions. Season them with salt and pepper, cover, and let cook for about ten minutes, lifting the lid and stirring every few minutes, until the fennel and onions are cooked through. 2. Add the pear pieces and cook for another few minutes, until they’re soft and tender. 3. Pour in the cider and the water, and add the bay leaves, then cover and let cook until the liquid comes to a boil. Reduce heat and let cook over low heat with the lid ajar for 5 to 10 minutes. 4. Pluck out the bay leaves, then blend the soup; if using a stand blender, let the soup cool down until it’s tepid before blending, or use an immersion blender. It’s February in Minnesota. I think I need this in my life. Can you check the method? Right now it says to add the pears in two different places. Thanks. Even us down in the south of France are getting some snow!!!! Might have to make this over the weekend as we are going to get some more, thanks for the idea. Sinks, fixtures, tiles. We did not even start yet and I am getting cold feet. This looks awesome. Thanks for posting David! Can I substitute chicken stock for the water or will the flavour of the chicken stock adulterate the pear and fennel? A big storm just dumped 18 inches of snow on us here in Colorado… Thanks for this recipe – I think we need this soup this weekend! Thanks. I look forward to trying this! 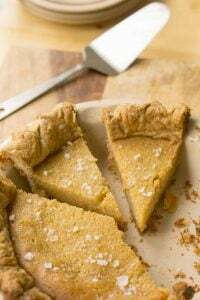 Lovely recipe – When I was kid, we lived in Paris (14 arrondissement) – your roof top shots bring back such memories. Thanks for the post. I just got a bunch of fennel in my CSA box that I had no clue what to do with- now I’m definitely making this. Merci! One of the few things I was happy to leave behind when I left Paris was my white-tiled kitchen floor. Seriously, it showed every grain of dirt, drop of water. Are you sure you really want to go that way?! I love fresh fennel, so I imagine I would love it in a soup as well. My fridge randomly drops to Arctic temperatures and freezes everything so its nice to have a frozen fennel recipe on hand. 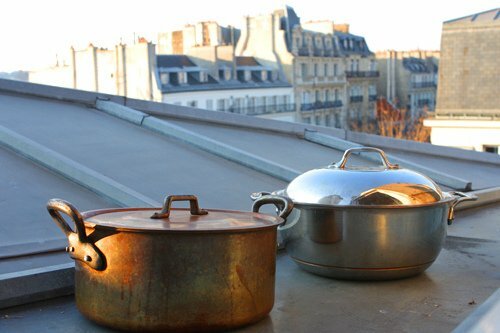 How funny, Julia Child used to keep things cold when she lived in Paris just like this. She once put a large leg of venison out the window in a bag hung by rope. Kept perfectly in winter Paris temperature until time came to cook it. Nothing like the old cooks method. Growing up in the Midwest, we used our garage as an extra refrigerator/freezer depending on the time of year. Kept the critters away from it, too. When I make chocolate-covered potato chips, I cool them on cookie sheets in my garage on top of my Honda. 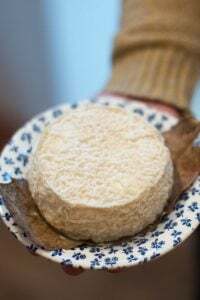 When we were in Paris, I did take to leaving my Camembert on the windowsill outside, à la français. It prevented what we termed “fridge farts”. Love the sound of this as I adore fennel and pear. 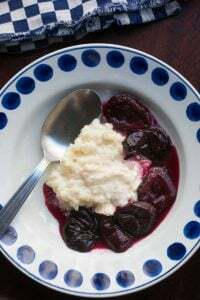 I picked up a slim book of soups, “Les Soupes”!, on a Parisian visit a couple of years ago and have been struck by the amount of fruit soups were in it, sweet cherry soup was such a one and lovely it was. I do like a soup! It sounds like you found your tile. But if you are still looking porcelain tile is inexpensive and impervious to stains. It can be slippery if you get one with a very smooth surface. This sounds so much better than the cauliflower soup I was planning on making. I much prefer fennel anyways! I am so happy you found the tiles. Believe me, with the variety we have here in the States to find plain white tiles – although everybody and their grandmother claim to have them – we went through the same hellish times trying to find plain, white, no frills: white tiles. Eventually we did find them, Italian, small, subway tiles which was what I wanted in the laundry room. So, I learned. I love the tiles, the installation of the tiles however was three times the price of the tiles which sent my budget into such a hole from which it has yet to recover. 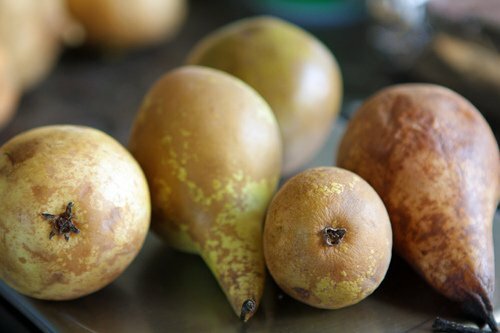 RyGuy: I sometimes use a little stock in soup, but it can overwhelm other flavors, especially pears. So if you want to use some homemade stock (I don’t like the canned stuff), you could use some in place of the water for sure. Dana B: It was impossible to take a picture of the tiles (let alone see them in the showroom..) and they were basically slightly textured white tiles with a little bit of reflectivity, which is good to have since it attracts more light. Jude: Unfortunately I’m in the midst of a major remodel and am waking up every morning at 5am to get going, while trying to share stories for the site as well. Believe it or not, I do quite a few read-throughs before I publish a post, but I am doing the best I can – especially considering the situation I am in with the workload. And since I have to write in html (here’s what my writing screen looks like), I appreciate readers pointing out any particular flubs since I don’t have an editor or copy editor for the site since I want to keep it fun and casual – but I don’t like typos either. You can read more at my post: Spring Cleaning. Allegra: I don’t know why it’s so hard to find “plain” – I search through catalogs that sell to institutions (like schools and hospitals) to find things, which often flips out the salespeople, who aren’t used to people wanting regular, utilitarian things in their homes, I guess. Kate: I went to my market this morning and everything, including the cabbages, were frozen-hard. I don’t know who was buying them, but I came home with a big chunk of Cantal instead. David, that’s a lovely soup and with all you have going on, a nice soup will help you to last all day long. Good luck with the sourcing. I’m amazed by how difficult it is to buy plain tiles. With the economy the way it is, they should be jumping through hoops to get your business. Ici, au Québec, nous avons l’habitude d’utiliser le balcon comme deuxième réfrigérateur. Parfois, on a des surprises:) Cette soupe de fenouil et de poires doit vraiment être délicieuse! J’ai bien hâte de le voir terminé cet appartement! David, the reason the white tiles had beige in them was to keep them from showing dirt. (So in a way, when you said the beige made the tiles look dirty you were right.) BUT, the beige is, I promise, practically speaking, a very good thing. In my last place, I, too, chose plain off-white tiles for the kitchen and ended up having to get on my hands and knees and wash the floor every single night–literally. Now, I have tiles with little beige ripples in them and can keep the kitchen looking decent by scrubbing only once or twice a week. I used to live in a kitchen with pure white tiles on the floor (which I didn’t put down) and yes, they always needed to be cleaned. However these tiles are for my downstairs room, and it’s somewhat dark so I want/need something bright that will reflect additional light around. So anything with beige it in looks funky. My kitchen is going to be wood – just can’t spill any red wine on it! 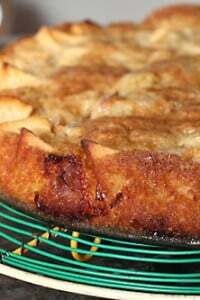 David, I don’t know which i enjoy more, your musings or your recipes! Probably both equally! I know you venture home to the States occasionally. If you ever get anywhere near Texas, please let your faithful blog-following friends know! This is a ‘must-try’! Now to find fresh fennel in these ‘northern’ climes……thanks for this David. Firstly, a very belated congratulations on your new place. I know how difficult it is to work and remodel…been there. You really do need to be on site every day so no one else is left to make an executive decision. Maddening, but it will be worth it. David, you don’t have to write in HTML. At the extreme right of your Upload/Insert bar you’ll see two tabs labeled Visual and HTML. Just click on visual, it will make your life so much easier. 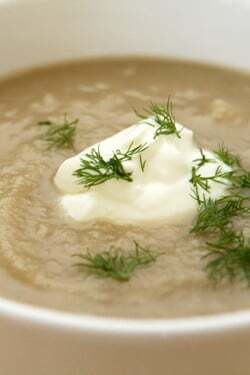 Pear and fennel soup, just the thing to take the edge off of a renovation. Been there, done that in Burgundy. My tile store story: Went to a HUGE tile showroom. At least a dozen workers, sitting around ignoring me while I browsed for an hour. When I asked for help, they said: “Sorry, the person who takes care of the tile only works on Wednesdays.” I said, “But it’s a TILE store!” Response: French shrug. “Mais c’est comme ça, Madame.” But now I know to pitch a hissy fit, merci. Thanks for a great post. Also for the vocabulary lesson. And isn’t it nuts just how long it can take to find just what one wants. But the choice must be right considering we are going to look at the tile, sink, etc. forever. I await the final pix. ‘La soupe’ is such a big part of French life. My French mother in law makes soup 4-6 nights per week in the winter and my French friends with kids eat it pretty much every night. At a dinner party last night, a French woman asked me what kinds of soup my American mother served me as a kid. When I said Campbell’s canned tomato or chicken noodle, she was in shock! mmmmmmmmmmm This looks so fabulous. I think I may have to tell my husband to just swallow his distaste for fennel and make it. or I won’t tell him the ingredients and see what he says. I sympathize with your renovation woes. We recently bought a new fridge and dishwasher and it’s taking the store AGES to deliver them. Every time we call (which is about twice a day) they tell us they just gave the last one in stock to someone else and have to order more or just pass the phone around to various people in the store. I remodeled my kitchen a few years ago, took out a wall, took all the walls down to the studs, etc. I love my kitchen, but there is one, and only one, thing I would change. I purchased a two lever sink fixture, and wish I had a one lever fixture; every time I turn the water off, I leave drips by the handle – very irritating. About language: drove my children crazy with grammar interruptions, but they all speak and write correctly. The advent of email for everyone in the ’90’s was very difficult for me. Blogs – oy! However, I have come to see a great enrichment in our language due to the spontaneous use of (close to) spoken words in written format. Remember the ideal of Esperanto? We seem to be approaching that ideal through the back door, as it were. Thanks for sharing your Paris life, David. Wow, pear fennel soup. Who would have thought?! When I lived in Paris, I regularly made carrot fennel soup, but your recipe looks and sounds divine. Especially with the dollop of creme fraiche! Did you get a hospital sink for your kitchen? This is what I put in my kitchen (bac à laver it’s called). I figured I could wash anything in it…including my grandchildren if I had to. But I did need to find a wall mount mitigeur. I can get any size pot in it, so it is practical, since my house is small and has limited facilities. I have never regretted my choice, even though my contractor (this is la France profonde, you know) found it a little strange, even if he said…”ah! c’est bien pratique ça!”. Bon courage, and all of us are looking forward to seeing the results of all your hard work and searching. Thanks David…..I love your website. I enjoy reading your blog and always think that you type your words just a couple of metro stops away… haha! 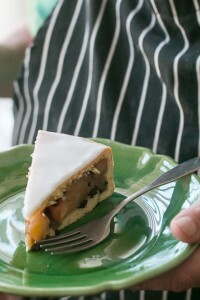 David, such a beautiful and simply elegant recipe…sweet and savory flavors at their best. I love the view from the windows in the photos- here’s to making your home cozy and exactly what you wish it to be, friend! I’m bookmarking this (and also sharing it with my daughter, she lives in the midst of pear orchards in northern California). Pears and fennel are on this weeks grocery list. Joining that baker’s newsletter feed is too. I love the storefront of that shop! David, as previous writers mentioned, a lot of `white` tiles (and `white` paint/walpaper on walls) has a tinge/fleck to soften the effect. The thing is, at arms length/close up you get one view. (Like looking at a painting in Orsay at arms length). But, when you stand on the tiles (like standing back from a painting) you are a couple of metres away and get a very different perspective. It`s an optical thing. I like bright/clean too but was advised by my tiler to be careful: if you go full-on white, you head towards a sterile hospital/insitutional brightness. If that is what you like or are after, no problem. However, a fleck/tinge `softens` the effect, but, too much may as you say look grimy/dull. Again, stand back and see if you can actually see the tinge/fleck at a distance. Also, a good tiler may advise to use an edging row of tiles or if your tiles are small, a highlight tile every so often to soften/break up or frame the overall effect. If you can somehow take a foot or so of sample tiles and place them in situ that helps get a feel for the overall effect in you own light conditions & space. Also, when you order the tiles, an excess is good. Allow for breakages etc. (Nothing worse than being a few tiles short and that tile no longer in production…been there… ) A few spares can come in handy down the track too. Also, don`t forget to check about the grout: shading (if any) and grout additives/properties to suit the space use. Also non slip tiles are available I believe. Casting an eye over tiling jobs in big hotels etc (bathrooms/kichens etc) will give you a view on tile options & workmanship/layout/finish etc. Thanks for keeping up the great posts even with the remodel in full swing. It’s such a treat to see an new entry. Peter: Thanks, and yes, definitely order extra tiles! Because…as you know…as soon as you need more, invariably they’ve stopped making the ones you need. I’ve been there..
Kathy: Ever since I learned the word “collectivité” – it’s been much easier to find things. As you know, it’s not customary to put large basins and such in apartments, although with the “loft look” becoming more prominent, you’d think it would be easier. Interestingly, you see large basin sinks in old houses and businesses, although I guess since people don’t cook as much as they used to – and don’t have the space – the smaller items work fine. I did find a large vasque by Delafon that I’m using in my bathroom which isn’t too deep (as some of the professional sinks are) so it’s comfortable to use. At least I hope it will be when it’s ready to use! Holly: I’ve learned (the hard way) to buy things from places that have good delivery policies and service. It’s worth paying more to have someone help you if something goes wrong. I just had an amazing experience with Amazon, who actually FedEx’d me something the next day that another delivery service (UPS) had bungled. I have two of your cookbooks and the coffee ice-cream I made using your book was the best ever tasted, (my friends tell me). I added Illy coffee liquor to the ice-cream, and it was great. BTW we buy illy coffee online from Paris, if you need the website, let me know. I have to tell you your recipes are the best written recipes around, all of them work well, and easy to follow, thank you for that. We moved to Provence a few years ago after 40 odd years in the Bay area, and rebuilt the kitchen here too, so I can feel what you are going through. I now have a smaller kitchen, but it works well for me. My husband and I moved when we retired, not because we didn’t like CA, but we discovered Provence, and we have never looked back. We adore Paris and hope we can talk to you when we next go to the City of Lights. Best of luck with your Paris project. I was lucky enough to buy the best kitchen equipment in the US. I am a kitchen gadget freak. Some buy clothes or shoes, I buy kitchen stuff! You amuse me with your stories with the French way of life. I still have problems reading the packets in the supermarket trying to figure what I am looking for, but we have fun doing so. We are close enough to Italy too, and visit many times a year, love Italy and their food, but want to live in France. @joatsp, can you email me about your retirement to Provence? We are seriously considering too, especially after Nov. elections, may be time to leave Cal. We lived many years in Paris, so this is not going into something blind, but would like to chat with you. Thanks. Ps David, we learned that many times in order to get help in larger stores, you need to invent a “story” to engage the salesperson. Anything along the lines of ‘my elderly aunt is visiting and can’t possibly sleep on a hard pillow, could you please do me a huge favor and check in the stockroom to see if a soft one isn’t by chance still to be found?’ it worked many times…..
Love your rooftop cooling chamber! That looks amazing! I will surely be making it soon. Also, for what it is worth, I am very impressed with your continued home-making-in-France endeavors. And at the very least, they make for excellent stories! Hi David, I’m quite surprised at your writing screen. I thought people on WordPress would have things easier. Noticed a lot of formatting codes (color, width, etc) which should be taken care of by using CSS in your template. Even on the traditional Blogger platform, I only insert HTML while writing when putting in links (yes, Flickr links, exit links etc) but not the formatting. I think you hire a site maintenance person? Get those enclosed in the CSS! Beware white grout. Looks grubby in no time, sealed or not. Wouldn’t be so bad if it got grubby evenly but the area around the sink, the place where the beet juice splashed, a chocolate spill… not so good. I feel for you on the acquisition of fixtures, flooring, appliances, etc. I have experienced the same trouble/frustrations in the Zurich area. The arrival of the huge do-it-yourself stores has been a huge help! I recently moved to an apartment with large white tiles in all the main rooms (they sound similar to the ones you chose). At first I was creeped out – all that white with my New England antiques? And I have two cats and a dog! 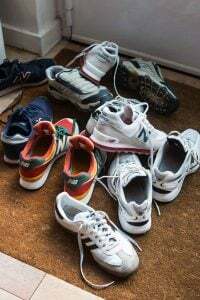 But I have found it a breeze to take care of – pushing a wide dry mop about once a week, and a quick vacuum/wet mop (with undiluted “Putzsprit”- Alcool de nettoyage) on alternating weeks. I just squirt it directly on the mop, and away I go. For sticky stuff, just squirt a bit right on the spot! Jocelyn is right on the white grout – go for “cement natural”, because it will end up that color anyway. And don’t spill beet juice ;-) A “bleach pen” (got mine in the US – Clorox brand) is useful for working a grout stain. Look forward to your next warming recipe – it’s SO COLD!!! 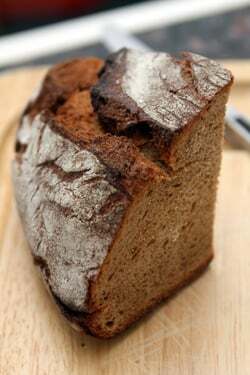 David, just your mention of miso rye bread got me salivating. I made my first one today and it was a little bit of a disaster, the dough too soft, stuck to my rising basket badly then flattened out on the stone. It smelled heavenly though and tastes good if a bit too dense. Needs more salt. Thanks for the inspiration. I’m keeping my rye starter going until I figure it out. I’m still advocating cork for your kitchen floors! So soft to stand on and hides the dirt. great reading…. 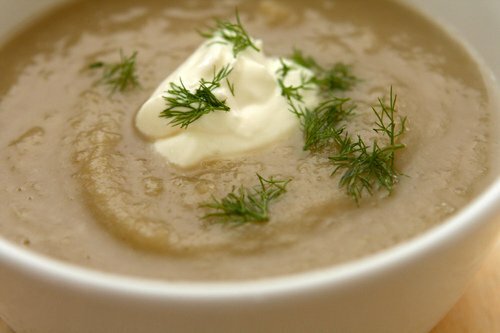 you are not the only one who does fennel-pear soup – i’ve done so before. i’m a great fan of opening the fridge or larder, poking my head into it and come up with an imaginative meal. i very much love the idea of cider, i can taste it on my tongue right now! last week i made a patato soup with leftovers of ‘haricots séchés’ (dried green beans) i bought in switzerland, and in the end i added the one left-over slice of tasty ham (cooked in its own juice), just cut up in small cubes – a real winter soup, that way nothing was wasted, everything served to its purpose of warming, feeding, filling…. and it was delicious. I always add a little something imaginative, here it was some grated comté and some fromage frais, and i cut up rocket leaves and just mix them under at the last moment, so it looks good too. you are such an inspiring person, david – i love the way your mind works – and i love the photos you add – they make your blog even more tempting and more beautiful to read. i love rye bread and i am very thankful for having a brilliant bakery with the most wonderful bread nearby, as well as an excellent butcher…. AND i love markets even in winter; today all the stall holders had chapitaux around their stuff and large gas heaters at their feet…. i bought beetroot, apples, some leak and two large bunches of filled tulips (for the heart!) and went home a happy bunny. I agree with what you wrote in that earlier post: nothing but nothing tastes like a 30months old comté…. we eat it with reverence and in awe – with dark bread and pickled gerkhins (not the vinaigry type) – plus, of course, a decent red…. aaaaah sigh! 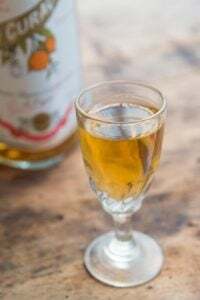 Calvados is a fine substitute for sparkling cider. The soup is lovely and soft, I think stock (even homemade) would interfere with the sweetness. I didn’t find it necessary to peel the pears they just disappeared once blended. 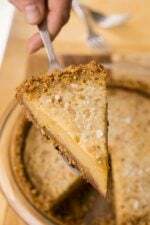 I love this recipe and your blog in general. This is a relatively light dish, and as a vegetarian, I crave flavorful, healthy dishes centered on vegetables and fruits like this one. The trend here in the US is to lighten up our dining experiences – whether or not one is a veg. In that regard, would you please update your lists of veg-friendly restaurants and tips for vegetarians visiting Paris? They were created in 2008, and I’m sure you have new ideas for us. Plenty of sites have vegetarian lists, but I want to try the more mainstream, good restaurants. When we visited last, we had a FABULOUS meal at L’Arpege that was completely veg, and we’d love to find more veg-friendly options for our next visits. Thanks so much – I trust your judgment! Hi Teri: Over the years, I have gone back and updated and added restaurants to that list since it was originally compiled. But I was thinking recently how much more vegetarian-friendly Paris restaurants have become and asking for something vegetarian isn’t unusual, and many places offer a vegetarian option or two. Also, Arpege is vegetable-friendly, although I ate there once and the prices were sky-high. I know some people like it, but it really is one of the most expensive places I’ve ever eat in. I was with someone from New York (not a cheap city), and I’m from San Francisco (which ain’t cheap either) – so I hesitate to recommend it to people because it’s definitely a splurge. Made the Pear/Fennel soup today and set it outside to cool before blending. Wow! It is so good cool. Topped it with a bit of smoked paprika, Will make a very nice summer soup. Thank you. As Teri L said above me, this recipe is a fantastic vegetarian dish. When I lived in Paris it was hard to eat veg…I wish I had recipes like this one to tide me over. It totally combines my love of fennel and my mom’s love of pears. I will definitely be making this soup! No looks good, sounds good, going to try it here. I actually made it! It was lovely with nuances of pear coming thru the savory fennel/onion. A whir in the Vitamix made so velvety. Easy and delicious.